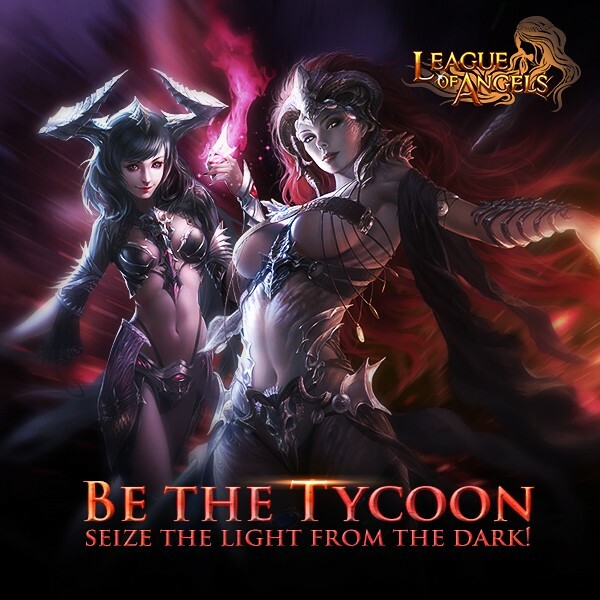 LoA_Be the Tycoon, seize the light from the dark! The 8th Cross-server Tournament will kick off on October 6th, at 10am (server time). To help you get prepared for the Tournament, we are holding a series events as follows. The winner of Tycoon will win the Pandora. Description: Collect the required resources to win Pandora and Styx, and many other rare items! Click here for more information about Pandora. 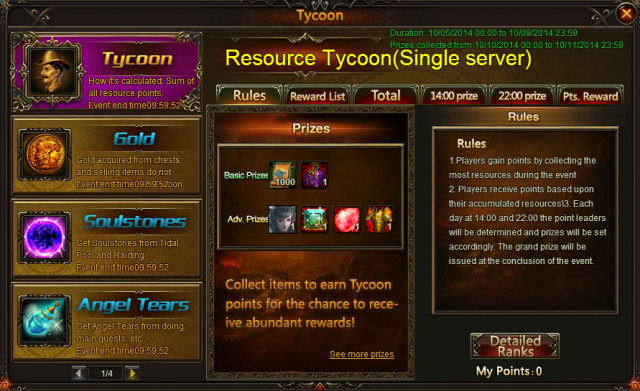 - Players gain points by collecting required resources during the event, i.e. Angel Tears, Runestones, Blessed Stones, Seraph's Stones, Aegis Shards, Soulstones, Refining Stones, Element Crystal, and Gem Enhancement Stones. 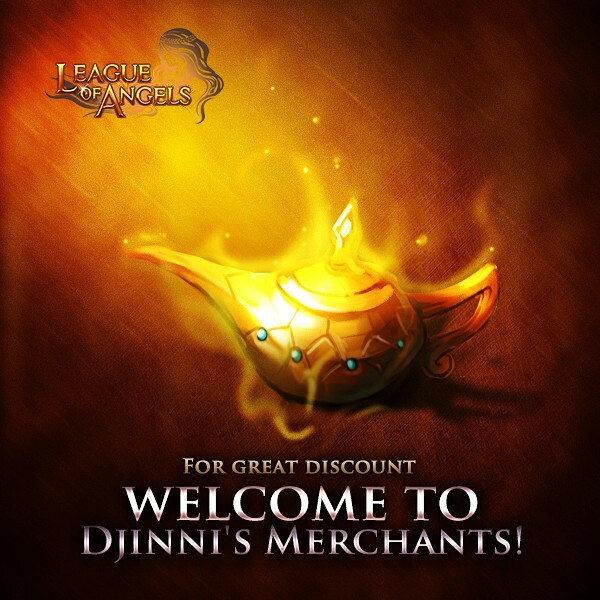 Description: Buy items with Darics from the Djinni's Merchants for a discounted price; they will be up to 60% off. 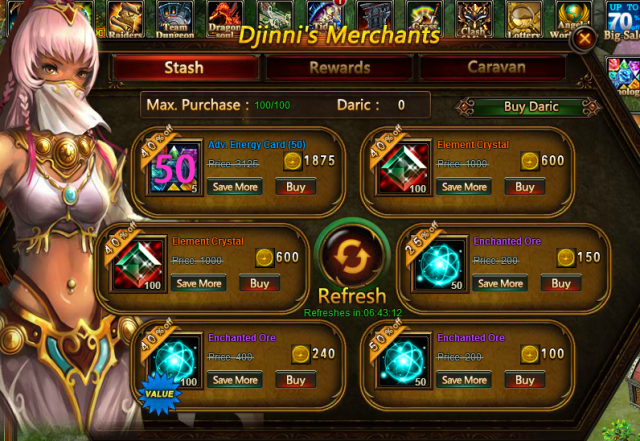 - Darics can be obtained from Today's Gift, Total Recharge Reward, Gemology , All-Round Talent and Fishing Soul, or exchanging Diamonds or Vouchers at a 1:1 rate. If you have remaining Shamrocks from previous events, you can exchange them into Darics in the Hot Events menu. - Click the “Refresh” button for a chance to buy different discounted items. The commodities include Hang Ten Shard,Moonbeam Wings Shard, Lvl. 3 Cherubstone, Lvl. 3 Holy Crystal, Lvl. 4 Cherubstone, Lvl. 4 Holy Crystal, Lvl. 5 Superior Gem Chest, Lvl. 5 Common Gem Chest, Blessed Stone, Seraph's Stone, Element Crystal, Refining Stone, Runestone, Soulstone, Aegis Shard, Angel Tears, Gold, and many more. More exciting events are coming up through Oct 5 to Oct 12. Check them out in the in-game How Events menu now!